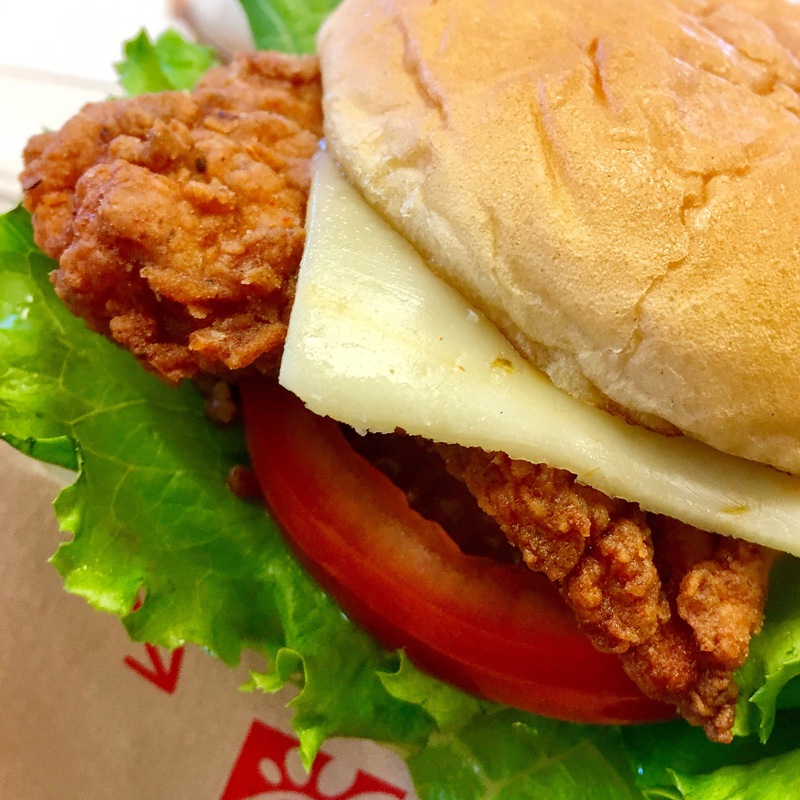 Outstanding Spicy Deluxe Chicken Sammich at Chick-fil-A. The cooling touch of mayonnaise is a must on this one! Boneless breast of juicy chicken, seasoned with a spicy blend of peppers, on a toasted, buttered bun with pickles, lettuce, mater, and pepper jack cheese. Outstanding spicy chicken sammich at Chick-fil-A! My favorite thing to order every time I go. Love the added pickles and an extra squeeze of mayonnaise. Outstanding spicy chicken supreme sandwich! !